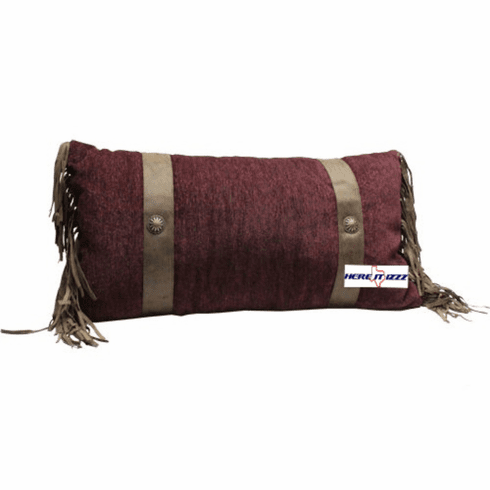 Beautifully designed burgundy neck pillow. Great items to lay on the couch and watch TV. Goes great with your Western bedding set or comforter. Gorgeous beige three in Fringe line the edges . Great item for your cabin in the Smoky Mountains.